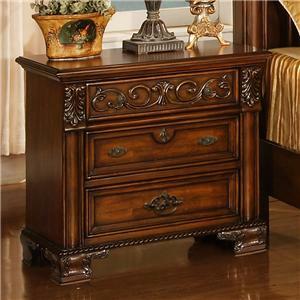 Accent your bedside with this beautiful nightstand. 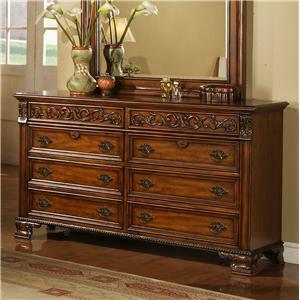 Three storage drawers with ornate bail handles and knobs are perfect for storing books, reading glasses, and bedtime necessities. 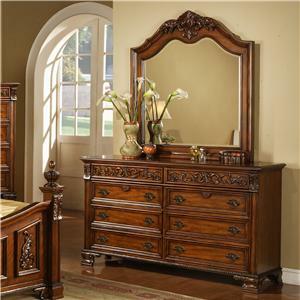 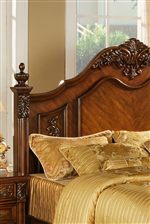 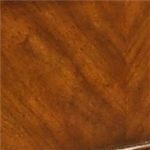 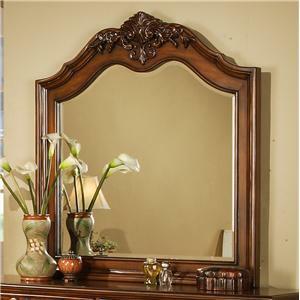 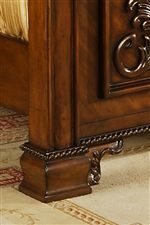 Featuring elegant wood moulding and bracket feet in a rich, warm cherry for a traditional style. 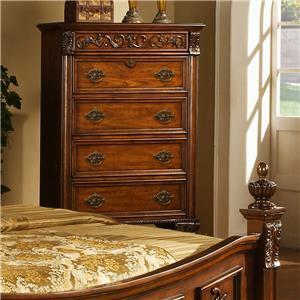 The 0185 Traditional Cherry 3-Drawer Nightstand by Lifestyle is available in the area from BigFurnitureWebsite.